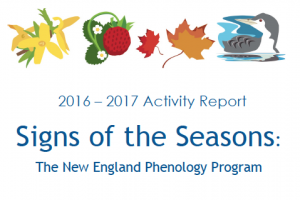 The 2016-2017 Signs of the Seasons Activity Report is now available. This report helps us, as a program, evaluate our collective accomplishments and plan for the future. The success of Signs of the Seasons is built upon our wonderful network of volunteers and partner organizations who we thank within the report.